An enclosed chain keeps tiny fingers safe, and the axle design is the key. It allows you to put a wheel on each side of the frame, or inside the forks. Better, its inexpensive (ish). 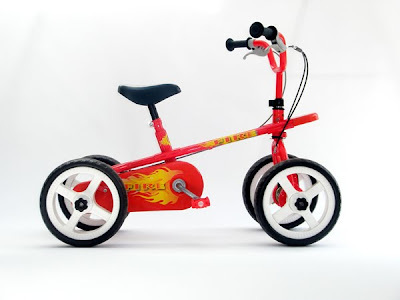 At £110 ($185), it’s not the cheapest kids bike, but then, it is three kids bikes. Here's the official product page.